In today’s hectic schedule having own vehicle is kind of necessity especially if you travels hundreds of miles on weekends to spend some quality time with your family members and friends. Buying a car is an easy task provided you have the sources to arrange your finances for that but if you have limited budget then why do not you go for used Mazda engines and other auto parts for your existing car. We understand that “used engines” might not sound comfortable to you but if you are buying it from Auto Used Engine then it would be a great experience for you. We specialize in all kinds of used Mazda Engines that you can easily access and shop from our store at reasonable price. 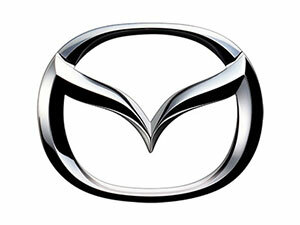 Moreover we offer complete three years warranty on our remanufactured Mazda engine. As compare to other providers we also offer complete freedom to our customers so that they easily research our products before buying them because we always believe in delivering the best to our clientele. It is one of the appreciated names in Japanese Automobile Manufacturing industry that was founded in year 1920. This company was started as the manufacturer of machine tools that later on switch to automobile production and in year 1931 Mazda Go was the first automobile of the company that was introduced in the market. Later in 1960’s the company was known for putting all their efforts to manufacture the rotary engine that was their milestone as it was proven to be a huge success for the company during that era and differentiated them from other auto manufacturers. Today you will find numerous different varieties of remanufactured Mazda engine in the market but if you are looking for an ultimate combination of high performance and cost effectiveness then Auto Used Engine is one stop solution that can serve you with the best in every perspective. Mazda is one renowned name in automobile industry for producing the piston engines and they created magnificent Wankle rotary engine that differentiated them from other manufacturers. In 1950s Mazda has created V-twin engine for three wheel vehicles that was later also installed in keicars. So if you are looking for this twin cylinder internal combustion engine then visit us today as we can provide you V-twin from 356 cc to 1.4 cc. So, what are you waiting for? Grab your phone and call us today in order to get the best used engine deals.